Virginia is nicknamed the "Mother of Presidents" because it is the birthplace of eight U.S. presidents. The capital of Virginia is Richmond; Virginia Beach is the most populous city and Fairfax County the most populous political subdivision. As of 2010, there are 167 colleges and universities in Virginia. 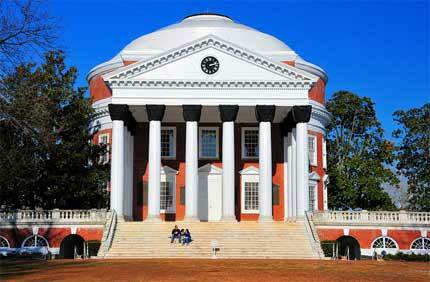 In the U.S. News and World Report ranking of public colleges, the University of Virginia is second and The College of William & Mary is sixth. Virginia Commonwealth University is ranked the top public graduate school in fine arts, while University has been recognized as the top public master"s program in The South. George Mason University is the largest university in Virginia. Club Z in home tutoring is the largest provider of in home tutoring services in the country. We have a variety of tutors that have been screened and are qualified in their fields. “Teaching is communication, and when you teach you have to communicate your way to do something: if your student learns ˜how to do’ you win, if he doesn't you fail. Are you frustrated with the usual approach to learning another language? Being able to communicate with people in a second language is enormously satisfying and enjoyable.